Polish striker Robert Lewandowski is on fire. His record goal-scoring pace means he has tallied 100 Bundesliga goals faster than any foreign player to date. It also makes him one of Europe’s most feared strikers. To celebrate these distinctions, Nike Football presented Lewandowski with a unique design of Hypervenom II which the striker was happy to show off on his instagram page. 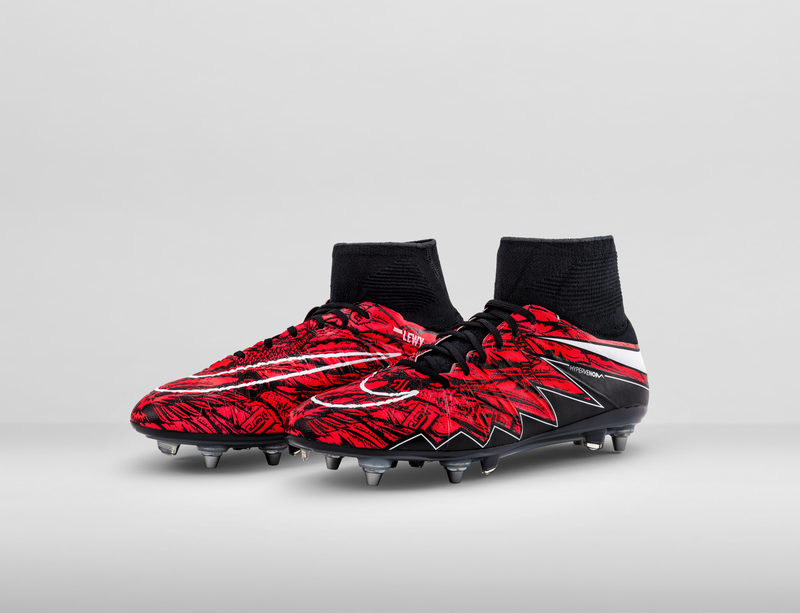 The custom red and black Hypervenom II takes inspiration from Lewandowski’s fighting spirit and incorporates fiery graphics that connect to the player’s past, emphasizing the intrepid characteristics that make him fearless in confrontation and lethal in front of the goal. “Every time I step onto the pitch, I know that I have to prove myself. Having these Hypervenom made just for me is a true recognition and inspiration,” says Lewandowski. Central to the design is the Eagle – a principal element of Polish visual identity. The motto of Lewandowski’s hometown of Warsaw, “Semper Invicta” (Always Invincible), also appears, reinforcing the striker’s steely mindset. Other symbols on the boots include Lewandowski’s personal logo, jersey number and a judo belt that pays tribute to the player’s father, who was a judo athlete. What do you think of the new exclusive Robert Lewandowski NIKE Hypervenom II football boots? Let us know in the comments section below or on our Twitter and Facebook pages. Are these available to buy?